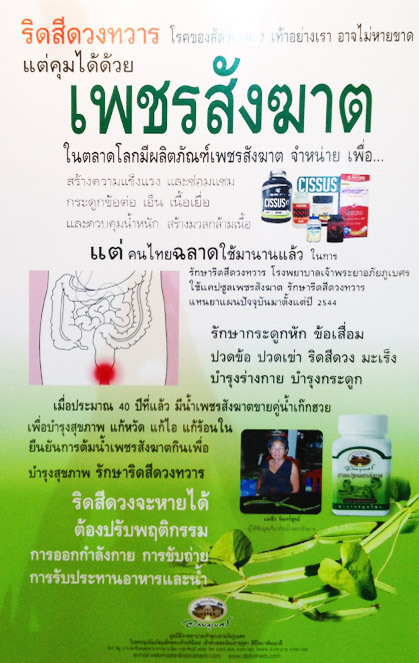 Many of us might have seen the fresh Cissus Quadrangularis but do not know its benefits. 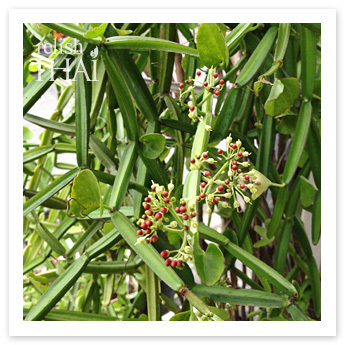 Cissus is known to be used as medical plant in various ayurvedic classical medicines to heal broken bones and injured ligaments and tendons. 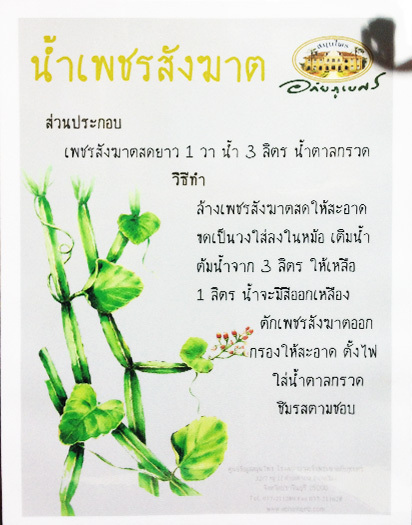 For Thai people, it is also know to be used for relieving haemorhoidal symptoms. There are three ways to consume Cissus Quadrangularis for relieving haemorhoidal symptom purpose. 1. Easiest way to consume Cissus Quadrangularis is buying the Cissus Quadrangularis capsules and follow the directions and dosage of use. 2. Peel skin of fresh Cissus Quadrangularis and cut it into small pieces for stuffing it into banana for consuming. Some people recommend not to chew it but to swallow a whole piece of banana stuffed with Cissus Quadrangularis because it would be itchy to chew the Cissus Quadrangularis. This consumption has not clear dosage specified. 3. Make the Cissus Quadrangularis juice. 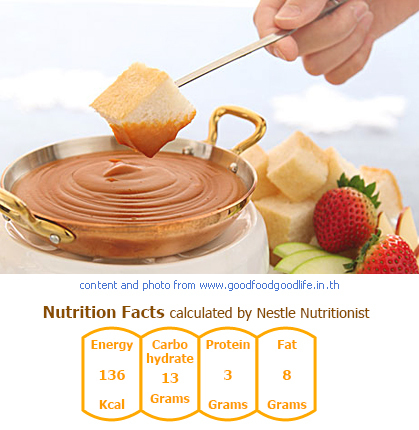 The recipe is from Abhaibhubejhr hospital as you see from the image below in Thai language. 3) Pour 3 liters water and boil it until the water is left only 1 liter. The water will be turned yellow. 4) Drain the Cissus juice well. 5) Warm the juice for adding sugar as you prefer. Regarding to the information below from Abhaibhubejhr hospital, for the permanent healing of haemorhoidal symptom, patients will be required to changing the toilet use habit, exercise regularly, drinking more water and high fiber foods. Step 1: Mix Nestea Milk tea with sugar and hot water well. Add salted butter and mix all well. Follow with evaporated milk (or half & half), eggs and wheat flour. Mix all well and strain with cheesecloth. Step 2: Using a fondue pot or a double boiling system to simmer the mixture over moderate heat about 20 minutes. Stirring for about 2 minutes and transfer the fondue to a fondue pot. Set the fondue pot on its stand over a low flame.